The 6P rule, namely Prior Proper Planning Prevents Poor Performance, is particularly important when assessing the condition of the substrate beneath a floor. While luxury vinyl tile (LVT), epoxy floor coating and other substrate-sensitive floor covering manufacturers always specify that their products be installed on dry, uncontaminated and “sound” substrates, many installers don’t know what constitutes a sound substrate. iTe Products strongly urges flooring contractors and their assessors to examine jobs carefully with regards to substrate soundness before pricing or committing to undertake installations. The company also lists these four factors to consider when assessing the soundness of screeds. The hardness is partly determined by the type of cement used, with a Cem IV 32,5MPa Cement yielding a lower MPa than a Cem lV 42,5Mpa Cement, for example. The hardness and compactness are then further influenced by the ratio of river sand (and its make-up) to cement; the more cement to sand, the stronger the mix. The amount and quality of the water used is also important, as is the consistency of the mix. With renovation projects in older buildings, inexperienced installers may be tempted to assume that if a floor (which is covered or obscured by existing floor coverings) has previously functioned effectively then it will continue to do so. They then go ahead and install the new floor covering, only to discover that they have merely hidden a whole range of issues, rather than addressing them. The strength of the final result will depend on how slow the curing (hydration) has taken place and the slower it cures, the better. Keeping the drying screed wet for as long as possible helps to ensure a good, even consistency. Screeds that dry too quickly will often exhibit shrinkage cracks. Accelerants may also impact the curing time, as will power-floating. As a rule, the denser the top surface, the slower the curing or drying. The screed can degenerate if it is exposed to excessive moisture for long periods of time. This type of degeneration will render it unsuitable for future installation without remedial action. Potential problems in screeds show themselves in hairline and structural cracks. 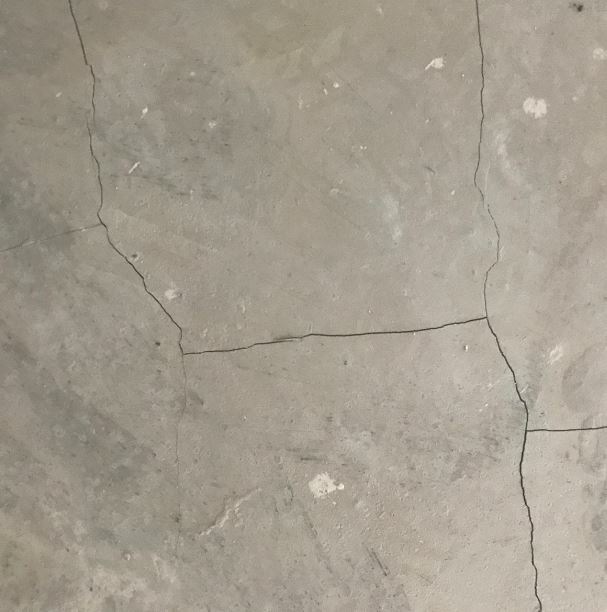 Hairline cracks may be due to shrinkage of the screed, but may also suggest that delamination between the slab and the screed or topping has occurred. Structural cracks are mostly the result of settling or movement of the building during its lifetime. A structural engineer or someone qualified may need to assess the screed and make recommendations to remediate it.